Our Company - Aqua Filter Fresh, Inc.
About Aqua Filter Fresh, Inc.
Aqua Filter Fresh, Inc. was incorporated in 1981 by William & Kathleen Bell in Pittsburgh, PA. Aqua Filter Fresh, Inc. originally started as a POU (Point of Use) filtration purveyor which sold under sink filtration systems to the residential, commercial & industrial business sectors. The POU filtration business was very new and years ahead of the explosive growth seen in the business from the late 1990’s until today. Because the POU filtration sectors slow start, Aqua Filter Fresh, Inc. diversified into the bottled water business and became a distributor and eventually bottler of the Tyler Mountain Water brand in 1982. Being new to the game, Aqua Filter Fresh, Inc. was the first company in the Pittsburgh region to offer spring water, vs. purified bottled water products made from tap water in bulk bottled water sizes. This significant marketing strategy positioned our Tyler Mountain Water brand to explosive growth for the next 20 years. It enabled us to become the market leader, and changed the market in which we compete in today. Our state of the art production facility has consistently met the highest industry standards and is annually awarded excellence in manufacturing status. At Aqua Filter Fresh, Inc. our roots run deep in Pennsylvania and the tri-state region. 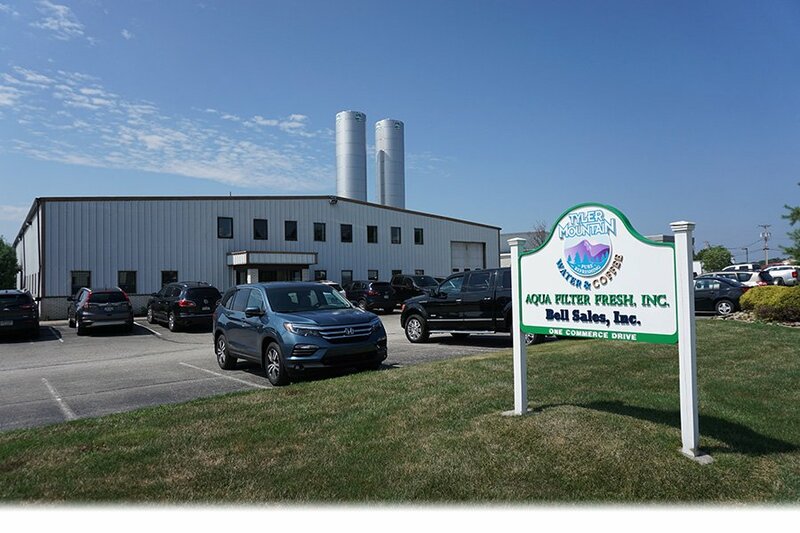 Being locally owned and operated, virtually every member of our growing staff was raised in this region, and now are raising their own families here. We believe in giving back and supporting our neighbors. Aqua Filter Fresh, Inc. is a family orientated business where we get to put our people first. We have exceptionally low employee turnover, and have many that intend this job to be the last in their career. At Aqua Filter Fresh, we are receptive to conducting educational plant tours, support of local law enforcement agencies, and donations to charitable organizations. It is our belief that active participation at multiple levels will continue to make us a valuable part of the community.